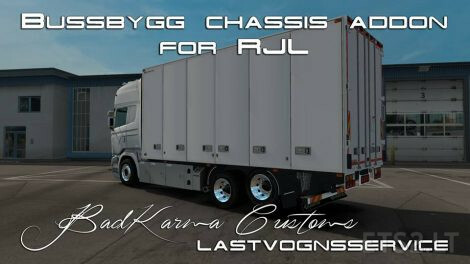 For This Mod, you Need the Scania Modification from RJL !! All credits go to AB 3DSM Customs and Jetta2000 for creating the models. We only reworked and updated them. This mod is an fps killer if you dont have the best computer. Well in that case my standard pc is a super computer, because I have NO problems with fps on my pc. А можно найти другую ссылку на скачивание,у меня mediafire не работает. Cпасибо. 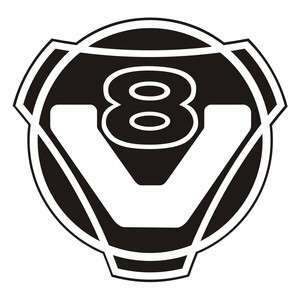 Long Live BadKarma Customs !!! Looks great. I’m not getting a license plate on the back of the truck though. 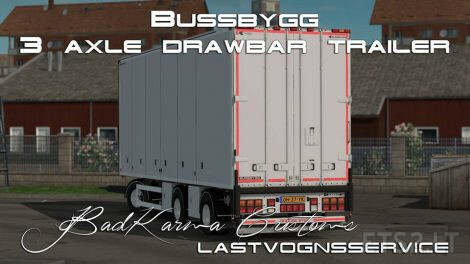 Just question: it works the trailer with DAF and other trucks by example? 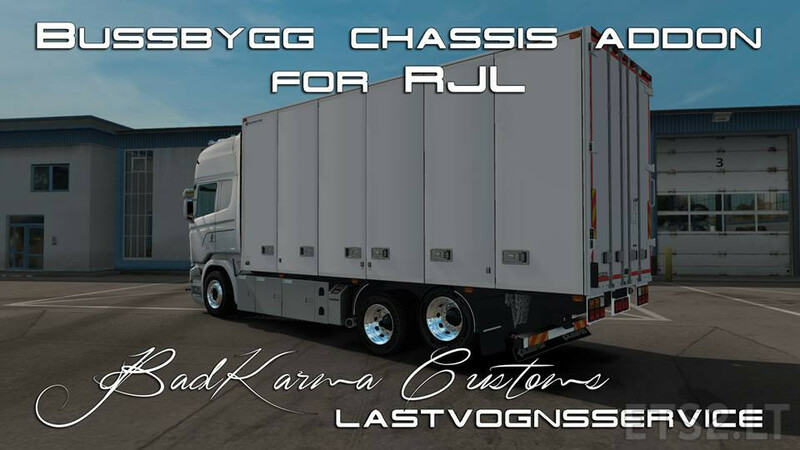 Vermutlich nicht weil das nur ein RJL Chassis Addon ist. 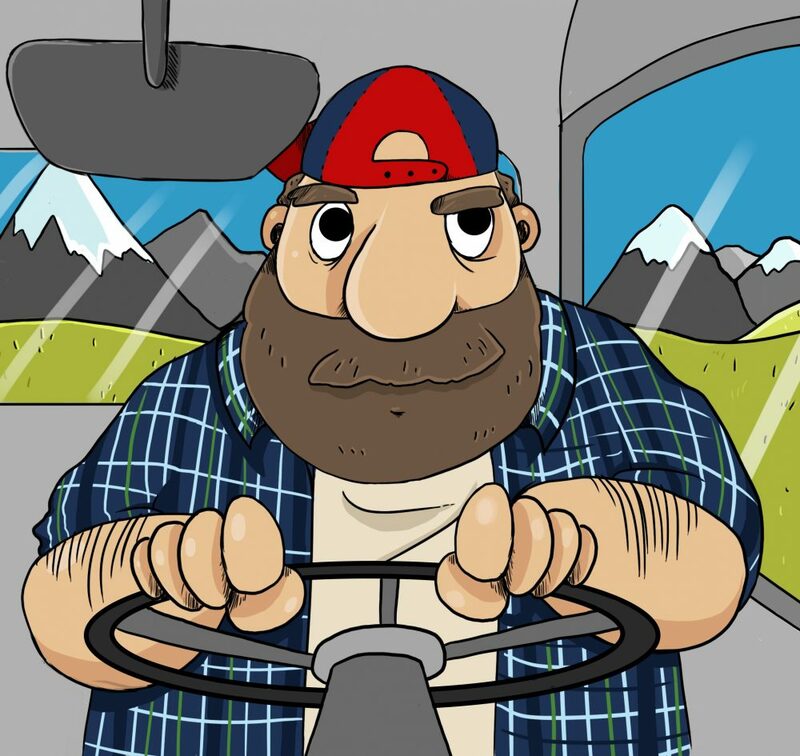 Ich habs gestern getestet und es geht sonst nirgends. Please add one more red-white marker side light on the trailer. There should be 2 on each side. Great MOD!! my game crash i can see the mod on but to put accessories on or change paint it crashes even on a profile with only these 2 mods RJL / Bussbygg anyone can help? Me also, I have nothing in the Game. Not with my RJL, no Trailer. It´s activated. May be is a Problem with Priority??? Found the issue: I simply needed to select the Topline cabin before looking for the tandem chassis, otherwise the chassis won’t show up. I can’t see this in game. ……why? 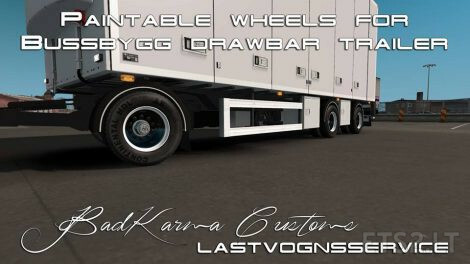 if you also have FlemmingV’s tandempackage you have to delete some cargoes in that one to make this appear in freight market. 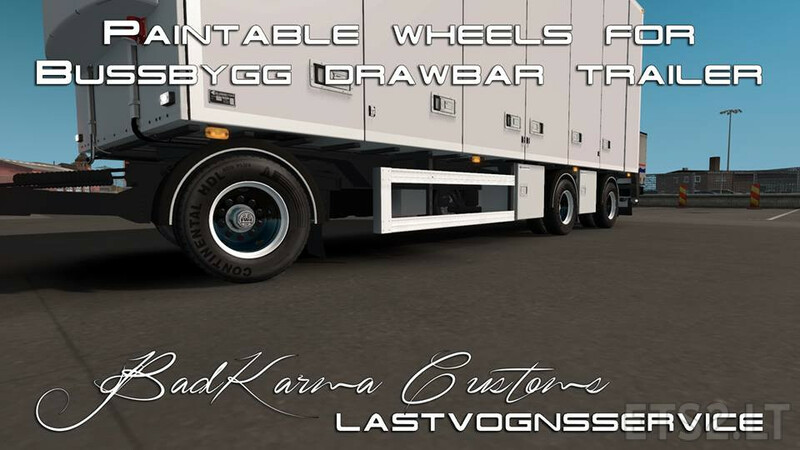 Is it possible to change the color of the trailer-wheels? I have aktivated all the mods and have topline but the chassi dont show up but all the Other things do. How can i get this work?